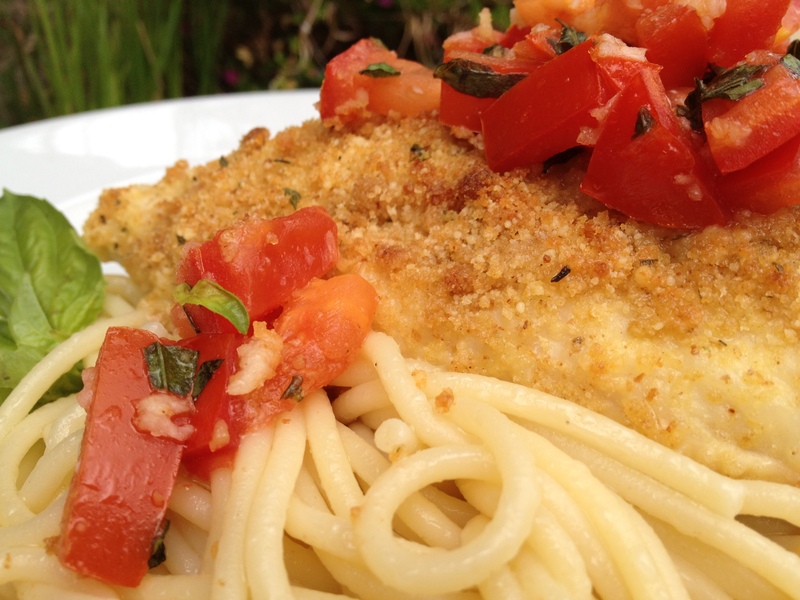 This recipe for Bruschetta Chicken is very good and very easy to make. I got the recipe out of my cookbook Taste of Home’s Contest Winning Annual Recipes 2006. The tomato, basil and garlic bruschetta topping really make this dish delicious and give it a real fresh taste. I served the chicken over buttered noodles and sprinkled parmesan cheese over the top. The family loved this and declared it a hit! Place flour and eggs in separate shallow bowls. Dip chicken in flour, then in eggs; place in a greased 13-in. x 9-in. baking dish. 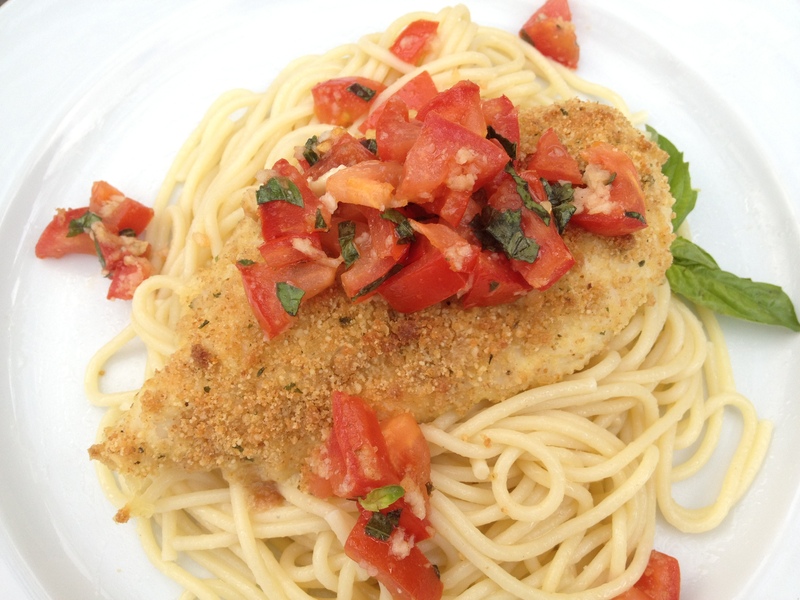 Combine the Parmesan cheese, bread crumbs and butter; sprinkle over chicken. Loosely cover baking dish with foil. Bake at 375 degrees for 20 minutes. Uncover; bake 5-10 minutes longer or until top is browned. Meanwhile, in a bowl, combine the remaining ingredients. Spoon over the chicken. Return to the oven for 3-5 minutes or until tomato mixture is heated through. I love this! So simple and quick for dinner! It was so easy, and tastey too! Thank you! This looks sooooooooooooo yummmmm!!!! Have to try it…..! I hope you do, it was very good! Thank you!